I have studied and worked in the music industries for years, and I was sure that this was what I would be doing all my whole life. In order to gain a bit of profit –something artists have no choice but to do– I chose to work in different restaurants in Israel that were considered to be quite causal. I loved being a cook but never thought I would become a chef. After a medical problem that occurred in my hands, resulted from playing on the guitar, I found that at the age of 23 continuing to work in the music business would be an issue, physically, and therefore decided to learn something different. I immediately got drawn to the culinary world. I have always wanted to learn about the pastry world, and because I never had a touch in it, it always seemed magical to me; something special and not as mundane as cooking that is done on a day to day basis. I remembered how my brothers and I used to watch our mother bake cakes and basically waited for her to finish in order for us to lick the remains of the sweet and pure white whipped magic off the mixer, that remained firmly tight on it in a special and unexplainable way. After a short course in pastry and baking, I decided that I was in love with the field, and decided to turn it into a profession. I worked at one of the most renowned and prestigious confectionaries in Israel, “Reviva and Celia”, and there is where I learnt the basis of the pastry world more into depth. I was very much influenced by the French patisseries, and I fell in love with Paris. I used to travel there often on culinary trips in order to cap and taste as much as I possibly could. Even as a musician, I very much connected to the teaching world, and I loved to teach. The experience, success and often the failure in transmitting my knowledge, and particularly my passion to music, and then to confectionary, fulfilled me very much. With the years, I started teaching pastry, in parallel to being an advisor to patisseries and restaurants in Israel. I got the most of my knowledge through culinary books, self-teaching, trips to Paris, working beside chefs like Christophe Michalak, Christophe Adam (so good # 5, so good # 13), Cédric Grolet, Guillaume Mabilleau and Jacques Genin and of course a lot of self-experiments and practice in my free time. Five years ago, I had the privilege of working beside Michalak in a short course that he was giving in Israel, and met one of the chefs that influenced me immensely. I very much connected to the way he interpreted the taste and presentations of the dishes and desserts that he prepared. Three years ago, I traveled to Paris to work bedside him, and the rest of his wonderful team. That was one of the happiest periods of my life, as well as being one of the most fascinating. I have learnt a lot about the way Christophe understood this field of confectionary. Today I am the head of the culinary faculty in ‘Danon’, an up-to-date culinary school training professionals in pastry and bakery. 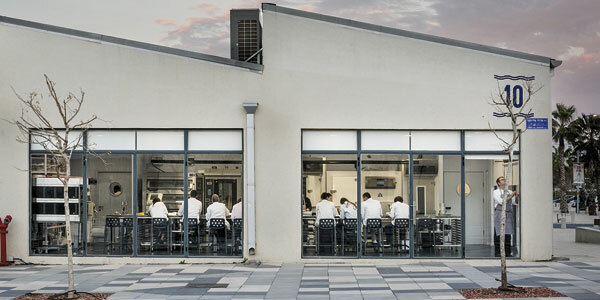 The school offers both basic training for young pastry chefs and Masterclass with leading professionals like: Carles Mampel, Julien Álvarez (so good #8, so good #15), Cédric grolet, Guillaume Mabilleau, Jacques Genin… Situated in the Tel Aviv Port, Danon’s culinary campus offers highly equipped labs, a student restaurant and Israel’s first culinary library. 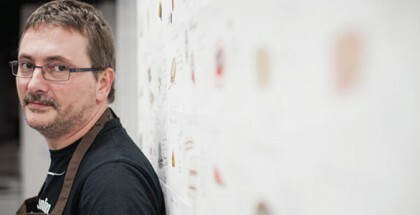 Danon is considered to be one of Israel leading culinary school. Teaching enables me to get into detail with regards to scientific processes that occur during the preparation of the products, something that fascinates me. In addition, one of the things I love is to reinvent preparation methods and presentation for each lesson, in order to differ and renew. This is what gives me the energy to teach the same lesson again and again. It touches me to see how my students progress each lesson, and I am very happy to be part of their journey. It has been a long while that I have been ‘brainstorming’ and trying to figure out the question: ‘What is Israel’s confectionary? !’ In the last few years, I have begun to discover ‘sprinkles’ of understanding, at least is how I feel, in the creation of authentic Israeli confectionary. 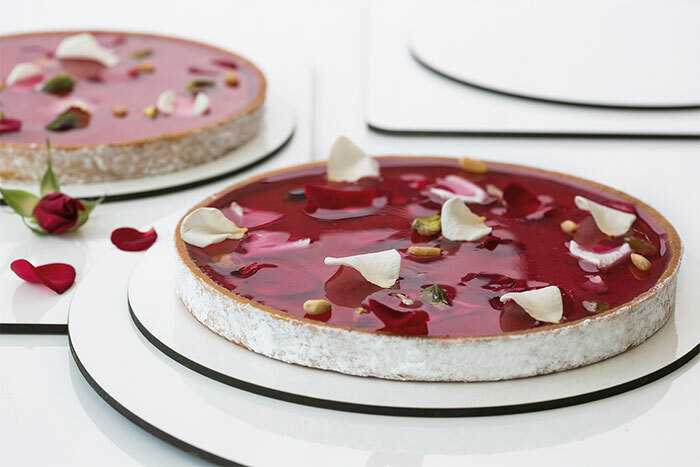 Nowadays, Israel patisseries is very much influenced by French cuisine, and even tries to imitate it. On the one hand, I don’t see anything wrong with that because the French confectionary is very qualified, visually and tastefully, and I was very much influenced by it for many years. On the other hand, I think it is time to evolve and add more techniques, products and local influences to the Israeli confectionary. 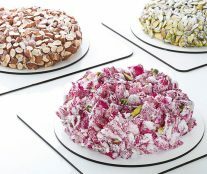 I think that the Israeli confectionary needs to focus on local products, local techniques and presentations that include Mediterranean aspects and to less imitate the French patisseries. I always try to do it and to transmit to the taster a form of adventure. 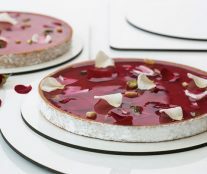 One of the ‘disadvantages’ of ‘window display’ desserts are the fact that they are placed on the shelves for long hours, and circumstances like temperature and textures can’t play a factor as in plated desserts. 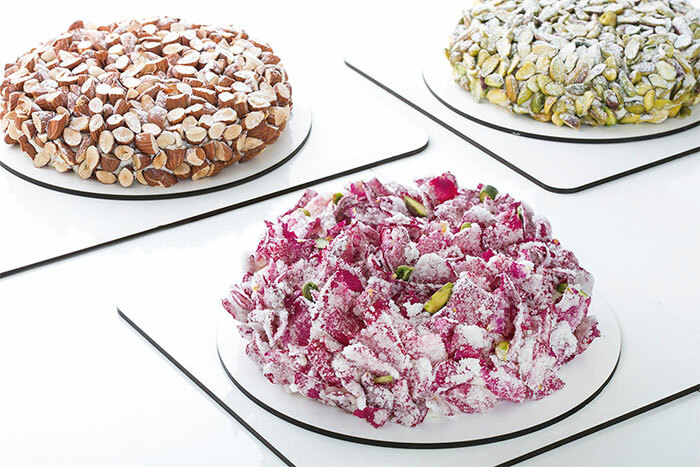 Therefore, there is a need to overcome this disadvantage with desserts meant for window display, and try to make them as fresh, moist, crispy or soft as possible. 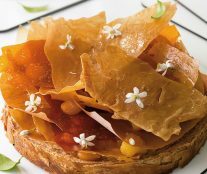 I try to do this by using different textures that aren’t so solid, and a mixture of crispy textures on the external and internal parts of the dessert; a contra between the layers with a profound taste that is also neutral, sweetness that varies between the layers, and basically usage of a combination of flavors. The tasting experience awakens all of our senses, and I try to put them to use, visually up until our sense of smell, and then our sense of hearing and tasting. I try to arouse the taster’s curiosity with small hints of what awaits him inside his dessert. In the recent years, confectionary has become fresher and I see desserts being prepared in front of the client, very much like street food. The pastry chef will give service to his clients and fix the tart, pastry or sponge cake according to their order and ‘on the spot’. I think that desserts should be more tempting and special, and less tacky and decorated. 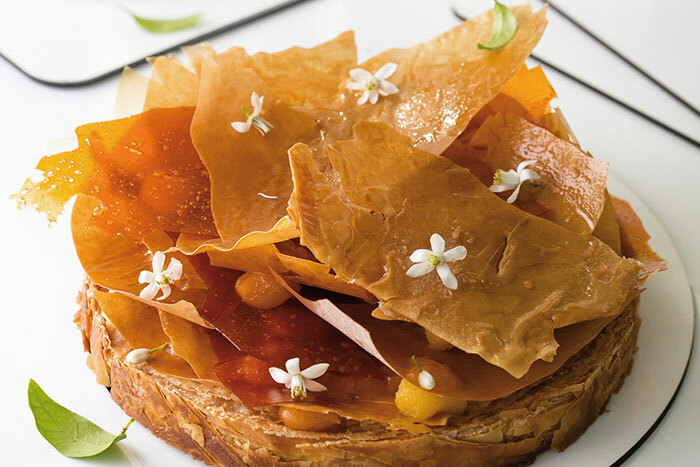 The pastry world will become simpler, spicier and more accessible. I view the culinary profession as Art. In my opinion, a confectioner is a musician, painter, statue former, or writer. It is not a profession that you pick in order to become rich, and you need to be born with certain traits that draw you to dedicate years of study with passion and love. One more thing that is very important is the ability to handle different results that originate from the same recipe. I sometimes see students that aren’t pleased with the results of their efforts. We must disconnect from what we first envisioned; that is so accurate, and connect to more beautiful things, that could be even better. One must relax, breathe and remember that we aren’t trying to save lives but just creating art.